Since version 4.1, WordPress developers are working tirelessly to get their new taxonomy road map up and running. But what does it mean for you, the user? WordPress’ taxonomy schema was first introduced in version 2.3 in 2007 and it unintentionally “shares” terms between taxonomies when users share the same slug. However, this “unintentional” feature turned out to be one of the most irksome bugs later in 2013 (you can read more about it here). Simply put, on their quest to get rid of this bug, WordPress developers are executing several precise mandatory manoeuvres that are reshaping the taxonomy schema’s architecture. However, in the latest update, one of such manoeuvres affected more than 15 % of the top plugins and themes, and unless its developers update its core to be compatible with 4.2 update, said plugins and themes will slowly decay into a broken code. What does it mean for you, the customer? 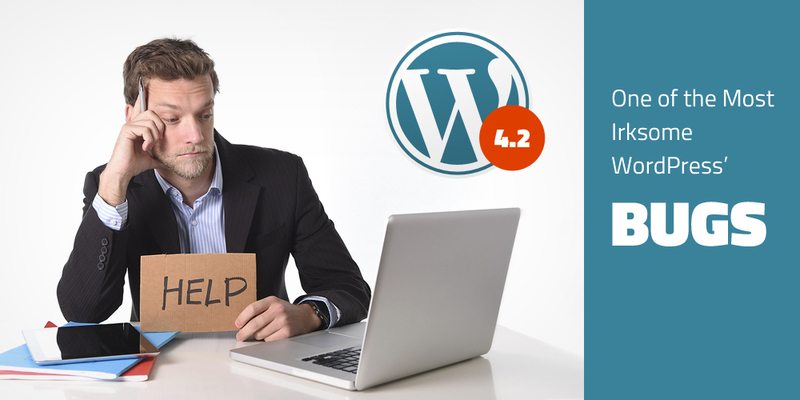 Once you update your WordPress to 4.2 without fixing its core, either manually or using our plugin, you are going to experience several issues and you are going to find out that some of our product’s features are either not working properly, or aren’t working at all. We at AIT-themes want you, our customers, to keep using your favourite WordPress themes and its plugins without the need to manually edit and update every single part of the core that’s affected by the update and that’s why we’ve created a comfortable plugin that takes care of it. Check out our guide on how to update our themes to 4.2 below the easiest way possible. Where have you bought your WordPress theme? Ever since we’ve launched our AIT-themes.club back in 2014, we’re actively working on making the club the most complex platform featuring many carefully created, hand-polished and original themes for you and your business. That’s how we can make sure that all our themes are always up to date, working flawlessly with every major – or minor WordPress update. You might have noticed that during this time, we started to migrate some of our earlier themes from themeforest.net to the club. If you can’t see your WordPress theme you’ve purchased some time ago, please don’t worry, it was just moved to the club. Lets sum up all themes we’ve moved back to our club: Aspiration, Barcelona, Cartoon, Creator, Elegance, Examination, Halfscreen, Hobby, Intro, Langwitch, LongPage, Lorem&Ipsum, Lorem, MyApp, Netspace, Solitudo, Prospector, Rounder. In regards to this migration and the latest WordPress update, there are several types of our customers, all of who are required to undergo different steps to successfully update their products. 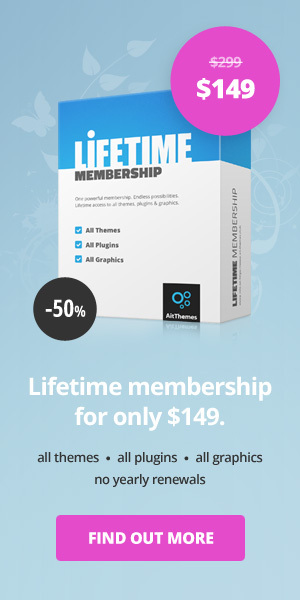 That’s why it’s important for you to know: Have you bought your product on themeforest.net or on ait-themes.club? you find out that your product was moved to our club. Now, this might get a little bit complicated and we are very sorry for any inconveniences this might cause you. Activate and click on “Update it now” link. download the latest version of your theme that also includes important security fixes. Since you already are a member of our club, this is the most easiest and convenient way of making sure that your theme is successfully updated. Just login to your account and re-download your already updated theme. there is an error whith update theme, can you help me? Please, post your technical questions on our Support Forum. The Support Forum can be accessed at: https://system.ait-themes.club/sign/in or consider to prosper from our professional service: https://www.ait-themes.club/services/theme-update/ . We are ready to assist you as soon as possible. If i buy the theme now, will i have to buy it again when there’s new update? All future updates during validity of your subscriptions (single theme, business or premium) are for free, you don’t need to buy the theme again. When can I start using theme with wp4.2 version? we’ll release an update after new release WordPress version 4.2. Themes are working correctly, there is no problem as we were testing them already. I am wondering if your themes have been tested on 4.2 already? Yes, all themes are compatible with WordPress 4.2. The moment we release updates feel free to upgrade. HI my purchase code on theme club doesn’t recognize, how I have to do? I follow all the instructions to install the fix plugin, but i don´t see any “Update it now” link after activating the plugin. Does that exist? Where is it? Can i deactivate the plugin after clicking in the “Update it now” link that i can´t find anywhere? You support forum account will be generated automatically. Thanks a lot for compliments and have a great day!